"When William Harvey (1578-1657) began research on the heart, his guiding question was this: exactly where in the heart are the vital spirits” concocted? His question reflected the respectable, conventional, too-obvious-to-be-questioned wisdom of his time. According to conventional wisdom, blood was continuously and copiously made in the liver. The job of the heart was to make vital spirits (by virtue of which life existed) by mixing air from lungs with blood from the liver. The reason death followed the cessation of heartbeat was that the vital spirits ceased to be concocted. As I see it, we have long since passed a comparable point to Harvey’s gestalt shift with modern neuroscience and the persistent belief in a human soul. For centuries, we have labored away within a false set of presumptions about there being a special, independent, immaterial spirit that inhabits human bodies. And, not surprisingly, these common sense ideas about the existence of an immortal soul have been at the foundation of another set of myths in our religious beliefs. Our interests in God, heaven, the afterlife, eternal punishment, and human depravity and sin have been predicated on the notion that there is some essential part of us that survives the decay of the body in the grave and that goes on to some other ghostly existence. Without the existence of an eternal soul, the point about religious belief in God becomes largely moot. If we have substantial evidence to indicate that there is no afterlife for a human person, then for the most part, the mental and physical resources that we devote to God and related matters will be a waste of time and energy. Our investigations into the human brain and nervous system have made it increasingly obvious that like Harvey’s initial presumption of vital spirits, our idea of some personal essence that exists separate from the brain is a backward holdover from model of the world that just doesn’t fit with the facts. When a brain gets damaged, the mental capacities that were produced by or depend upon that portion of our nervous tissues get compromised or destroyed. When we take psychoactive drugs that disrupt the chemical and electrical signals of our brains, the normal pattern of thoughts, reasoning, and phenomenal experience get disrupted. When the effects of those drugs wear off and the regular patterns of neural activity right themselves in our brains, our ideas and sensations return to normal. As neuroscience has pressed forward, we have become able to correlate with greater and greater precision the brain processes that are responsible for every aspect of our mental lives. It has become clear that even the most abstract, ethereal, and elusive experiences—the ones that gave us such conviction that there is something otherworldly and magical about human consciousness and existence—can be analyzed into simple, physical events in the brain. Unlike Harvey’s situation, however, the belief in the human soul has lingered long after it has ceased to be a theoretically viable account of what we have found in our empirical investigations. Harvey, like Copernicus, Newton, and Einstein, was prepared to abandon his presumptions when they were not borne out by what he discovered. But a deep and pervasive affection in us for spirituality and for the notion of God keeps us from moving on and growing up. The lesson we can learn from Harvey’s case is to have the courage and the sense to realign our assumptions, even our most fundamental ones, in the light of new information. According to Redevelopment Director Linda Daniels, City Hall had received 90 calls of complaint since Wednesday. "We contacted the sign company and asked if there was a way to get it removed," Daniels said. What would be very significant about this is that an official in City Hall construed the FFRF billboard as a problem and as a result she called the sign company and pressured them to remove it. Ordinary citizens complaining about such a billboard would hardly be surprising; but city officials have no business exerting pressure on private businesses in order to eliminate the free expression of ideas. The latter claim is surely right. No city has the authority in a case like this to approve or remove any billboard ads on the basis of their content—although there will be exceptions for community decency cases, but I’ll leave that for later. But the first claim, that the city gave no direction to remove the sign is in direct contradiction with what Wendy Leung reported in her article (“Controversial `Imagine No Religion' billboard removed in Rancho Cucamonga”) quoted above. So either Linda Daniels did pressure the sign company and Kirsten Compean and Fabian Villenas are mistaken, or Linda Daniels did not pressure the sign company and Wendy Leung is mistaken. I have emails into all parties and I am hoping to get some clearer answers. Rancho Cucamonga may have just gotten itself into some hot water with an abuse of power. And the whole scandal makes it clear that they really needed to have the billboard up and they all needed to spend some time imagining being free from the stranglehold of religious dogma. I think on a reasonable construal of censorship and freedom of speech, the removal of the billboard and cancellation of the FFRF’s contract was wrong. There are other venues, of course, where the FFRF and others can express their ideas. But that’s not the point. The FFRF sought to purchase ad time and display their billboard like any other group just like the countless religiously themed billboards out there. But their attempt to make use of the same venues as any other religious citizens was thwarted because being non-religious is so immensely unpopular. For comparison, consider this rough analog. Imagine that a non-profit group working on behalf of African Americans put up a billboard that said, “Imagine having a black family.” And then an outraged (racist) community flooded the billboard company and city with calls protesting the horrible suggestion that they are black or are related to black people. And then, as a result, the company takes the sign down. Would you have any doubt that the free expression of ideas had been violated here and that the action was an example of prejudice and censorship? Reading between the lines, those of us on the other side know what this all means. Non-believers really don’t have freedom of speech or freedom from religion if the exercise of those rights mean actually disagreeing or rejecting the religious views and practices of the mainstream. Or, even if they have the rights, the widespread social stigma on non-belief is strong to result in the de facto repression of those ideas in public. Freedom of Speech, Only for the Religious. Freedom of Thought, but only for Religious Thoughts. The Freedom From Religion Foundation, co-founded by Dan Barker, recently put up a billboard in Rancho Cucamonga, CA that said, “Imagine No Religion.” The outcry from residents was immediate. The advertising company that owns the billboard immediately took the sign down and promised to refund FFRF. Correction on my earlier post: Despite the claim that is being circulated, the City of Rancho Cucamonga claims that it applied no pressure concerning the billboard and that it has no power over what the company chooses to put on it. Focus your complaints on General Outdoor Advertising. I’ve argued in a number of contexts against the immortality of the soul. Whatever a soul is in the popular imagination, it seems essentially to have your personal properties of memories, beliefs, desires, self-awareness, and consciousness. That is, your soul is you. The problem, of course, is that all of these features of you depend upon the function of your brain to exist. Disrupt the brain enough with drugs or abuse, damage it with trauma or a stroke, or destroy it, and all of stuff that makes up your mind will stop. This is not a particularly new or creative idea. It’s become a simple, obvious truth throughout the neurosciences and even in philosophy of mind. While many philosophers hold out, insisting that there is something magically irreducible about qualia, beliefs, intentions, or what have you, they will almost all concede that even if the mental cannot be readily reduced or eliminated into the physical, the mental depends upon the physical. We have no plausible evidence in favor of the view that a mind could exist without a brain. But we have mountains of evidence that the mind is utterly dependent for it features on the existence of the brain. This much is widely accepted even though there are a wide range of views about how best to theoretically describe the mind. In case you didn’t notice, I’m equating the soul with the mind. I won’t apologize for that. That’s the widespread practice too, at least among people who are willing to talk seriously about souls. And I can’t make any sense of any accounts of the soul that I have heard that try to tease out a difference between it and what we traditionally identify as the mind. 1. Everything that we attribute to the soul depends upon the brain to exist. 2. At death (or soon thereafter), the brain ceases to exist. 3. Therefore, at death the soul ceases to exist. The action is all in the first premise, of course. I take it that your own experience of what a triple espresso does to your thoughts, LSD, brain damage, strokes, and evidence from the animal world make premise 1 obviously true. Sometimes people will resist, arguing that the evidence from neuroscience, car wrecks, hallucinogenic drugs, and monkey studies is all consistent with viewing the mind as a sort of remote pilot. The soul, they say, isn’t really dependent for its existence on the brain. Rather, a functioning brain acts as a sort of control nexus through which the ontologically separate mind exerts influence on the physical world. When you damage or alter the brain, you’re not actually compromising the mind itself. You’re really just inhibiting or damaging the control panel that interacts between mind and body. If something like that were true, then you’d expect to see people’s ability to act, talk, and express themselves compromised by brain alteration. But that’s at least consistent with the mind’s being completely fine. This is a modern sort of dualism, you’ll notice. And one set of responses to this view has to be the same objections that are always given to Cartesian substance dualism: how does a physical thing interact with a non-physical thing? how can a mind that has no spatial location connect to a brain that has spatial location? And so on. I won’t pursue those worn classic objections here. But here’s a problem to consider. If you think that your soul is a separate or separable entity from your brain, if you think that your soul doesn’t essentially depend for its very existence on the normal functioning of your nervous system, then you should be willing to engage in an experiment with us. Suppose that we had the technology to do a brain transplant on a human being. If you think your soul is some magical, mystical entity that floats free of the natural world, then you should be willing to undergo a brain transplant. It should be ok with you to have your current brain taken out, tossed in the disposal, and then have another one stuck into your skull. Since your mind’s functions don’t depend upon brain configuration or operations, then it really shouldn’t matter which one we put in there. The new brain shouldn’t change your thoughts, your desires, your self-awareness, or your memories since those are all safely part of your soul. So how about it? Are you willing to undergo a brain transplant and let us toss your old one into the rubbish? Honestly, if you’re still clinging to this medieval nonsense about souls leaving the body, then your brain is due for an upgrade. Dan Barker has been on a speaking tour and came to CSUS to speak. He had a number of interesting things to say. From his teens until his thirties, Barker was an evangelical, fundamentalist preacher. As he matured, and was exposed to people with different views, an interest in learning led him to ask more and more questions about the rigid, dogmatic worldview he had constructed. When he was deep in the faith, like lots of Christians, he was utterly convinced that the particular reading and doctrine that he and his church peers took away from the Bible was the “one, true reading” and that only those who agreed completely could go to heaven. All others would be cast into eternal torment for their heresies. But as Barker began to realize that there were other reasonable, earnest, decent Christians out there who had a different view about the exact doctrines of the Bible, doubts began to creep in. At first, Barker slowly began to broaden his circle of inclusion for “good” Christians, reasoning to himself that perhaps some of what he had taken to be an obvious, literal truth in a passage of the Bible could be reasonably construed in another way. And he even began to suspect that some of those passages might be metaphorical, not a literal transcription of truth straight from the realm of God. A broadening base of experience, an honest look around the world, and some courageous self-critique inevitably led him to doubt the complete self-assurance that he once had. Barker described the mystical experiences he had of God during this period in great detail. On a daily basis he said he could sense a presence, a voice, and a guiding force in his thoughts. Barker, like a significant percentage of humans, has/had a strong tendency towards auditory and mental hallucinations. He says that we could think of the distribution of people across a bell curve of a propensity for religious experience. For people like him out at the edge of the curve, the feelings of transcendence, elation, and a non-sensory awareness of a divine presence are powerful and undeniable. If you couple that propensity with the cultural expectations of charismatic, evangelical Christianity, the result is people who are utterly convinced that God is a real presence in the world, and their sect is the authentic means of access to him. The innate neurological dispositions of lots of human beings are going to predispose them to find this notion of the “testimony of the Holy Spirit in your heart” to be completely plausible and familiar. Of course, if they had been raised in a Buddhist, Sikh, or Zoroastrian cultural tradition, they would have attached a different significance to those same feelings. And we must assume that if someone like this received a robust scientific education that included some neuro-biological basics about human dispositions towards altered conscious states, then the results would have been quite different. Given that we know that the human nervous system is capable of falsely, producing a wide range of quirky, strange experiences, it’s a crime that so many people remain in the dark about what they are going through. And it’s also a tragedy that ignorant, religious zealots fill the heads of these people with their Stone Age supernaturalism. The God delusion has such a deep hold on their minds and lives that many of those people will never be able to struggle free the way Barker did. Take a look at Barker’s recent book for a surprising and internal account of someone whose consciousness has been throttled by a religious delusion: Godless: How An Evangelical Preacher Became One of America’s Leading Atheists. Barker is not also the co-founder of the Freedom from Religion Foundation, and the co-host of Freethought Radio, a nationally syndicated talk show about atheism. Here is an argument that occurred to me as I was grappling with paragraph  of Hick's theodicy, Evil and Soul-Making, and trying to make sense of Hick's claim that the state of a person who masters temptation (and endures suffering in the process)to become good is better than becoming good in any other way. 1. "...one who has attained to goodness by meeting and eventually mastering temptations, and thus by rightly making responsible choices in concrete situations, is good in a richer and more valuable sense than would be one created ab initio in a state either of innocence or virtue." 2. Man attains to goodness by meeting and eventually mastering temptation, and thus by rightly making responsible choices in concrete situations. 3. God is inherently good and morally perfect. God has always been in a state of virtue. 4. Therefore, Man is good in a richer and more valuable sense than God. With respect to Premises 1 and 3, it could be argued that God was not created and that God is eternal, a being whose existence has no beginning and no end. The point here is that Hick seems to be arguing that it is better to achieve virtue by overcoming temptation and enduring suffering than to have virtue without overcoming temptation and enduring suffering. I would think that God, the paragon of virtue, has always been virtuous and has not achieved virtue by overcoming temptation and enduring suffering. If suffering and overcoming temptation is the best path to moral virtue (and even better that being virtuous from the get-go), then why doesn't this apply to God? Why wouldn't it be just as good or better to be in a state of virtue ab initio? If virtue is an inherent quality of God, why wouldn't his creations (in his likeness) also have this quality ab initio? Hoards of Christian sects—Lutherans, Jehovah’s Witnesses, Baptists, Episcopalians, Catholics, Non-Denominational Christians (who think that they have avoided being a doctrinal sect by fiat)—have prolonged disagreements over the question of what the Bible really says. They argue, cite passages, cherry pick, and pour over the text in an attempt to settle their disagreements over who is really the true Christian, and who’s got the correct doctrinal tenants. The modus operandi for the combatants is usually something like this: approach the text (often with a predisposition towards a particular doctrine--usually those of the church you happened to grow up in or the one you’re most familiar with); find some passages that seem to generally support your take on baptism, Satan, repentance, or whatever; discount those passages that don’t support your reading by arguing that they are taken out of context or they don’t really mean what they appear to mean; reject the position of the other sect and charge that they aren’t really Christians because they aren’t following the true (your reading) word of God; feel assured that you have secured your place in heaven to watch the hellish barbecue of all those who disagree with you. Before we consider the confusions buried in this practice, consider for a moment how much time and energy human beings have spent engaging in these sorts of textual disputes. It staggers the mind to reflect on the millions of work hours and the intellectual energies that have been poured into this textual exegesis practice. Is there one, true real Christianity? A single doctrinal interpretation of the Bible that perfectly reflects God’s will better than all of the other Christian sects? These arguments over the text belie a naïve presumption that there is such a thing. But consider this problem from the outside. The non-believers who have made the shift see Jehovah’s Witnesses, Baptists, and Pentecostals bickering over who’s reading and understanding the book the correct way. Even among members of a sect, it is exceedingly common for people to have vicious disagreements about which way to understand a given cryptic passage. What is the real lesson we should learn from Abraham’s test of faith when God commanded him to kill Isaac? When Jesus miraculously withered the fig tree that had no fruit, what lesson was he really trying to teach us? The simple fact is that there is no widespread agreement about any of these issues even among the believers themselves. Given that so many of them have disagreed for so long about so much, it strikes those of us on the outside as ludicrous to keep scouring the texts in hopes of finding the one, real answer, whatever that may be. Texts never give us some unadulterated, interpretation less access to deep truths about reality. And all of these endless arguments over the Bible as if it does is a titanic waste of time. A text is always mediated by the background, the predispositions, the biases, the confusions, the goals, and the expectations of the reader. It just isn’t possible to read a book and not find some of what you put in there yourself. Ironically, what many of the disputants here are doing is making appeals to evidence from other parts of the texts, from outside historical sources, or from Bible scholars. If only they could expand that respect for the relevance of evidence to a broader circle without the presumption that whatever the evidence indicates, it must corroborate some form of Christianity. To be fair, engaging the Bible and other believers in a search for the answers does have a virtue. When believers pray, or listen to the deliverances of faith, there’s no outside check on them at all. There’s no effort to corroborate or cross check what they think with anyone else but themselves. Praying for the answers amounts to just checking to see what you want to be true. At least when they go to the Bible and discuss its meaning with other Christians there’s some effort to get some input besides just their own private thoughts. It’s a step in the right direction. But if we have great numbers of people all bickering over the correct interpretation of a text, we have to ask this question: will prolonged analyses of the text actually produce a definitive answer to that question, or is the attempt to find the only right interpretation itself wrongheaded? Clearly it’s the latter. The interaction between reader and text never works that way. Maybe “better interpretation” means something like “adheres more closely to the author’s intentions”? Perhaps we could make some headway on this front, assuming that the author had a set of clear, consistent intentions and that the author was able to communicate those well. If not, then we’ll have no hope of finding them in the text. One problem is that lots of literary theorists, constitutional scholars, historical philosophers, and art critics will tell us that the author’s intent may or may not be what’s important, meaningful, or useful about a text. Listen to an artist talk about their work and compare it to your impressions of it before you heard that and you’ll appreciate the difference. Often an artist’s ideas about what they are doing completely diverge from the impact that they have on us. So prolonged debates about who is the true Christian are a bit like English professors arguing over who is the one true Robert Frost-ian. Imagine one of them reading a couple of Frost poems, citing several passages in support of an interpretation, and then announcing that he is the One, True, Real Robert Frost-ian, the one who has the only accurate interpretation of the text, and all of the other fake, misguided students of Frost are going to hell for their ignorance. We make the same mistake in the perennial disagreements over what the founding fathers really meant when they wrote the Constitution, as if settling that dispute could somehow tell us what’s the right thing to do now, 200 years later. It may be that Founding Father X had view P about subject R. That’s of historical interest, I suppose. But we should be careful not to treat those guys as religious figures issuing special revelations about the truth—it’s pretty clear that that’s not what they intended. But the question of whether or not we should enact laws that affirm that view must be decided on grounds other than that some long dead person thought P about it. The presumption through all of this for the believers, and the reason why they invest so much energy into understanding the text, is that it contains the real words of God. If you think that, then if we can figure out what it says, then we will have the deep answers, straight from the source, that we need. But let’s consider what reasons we might have to thinking that the book contains the words of God. A temptation would be to point to the book itself and the claims that it contains about the book coming from God. But we can all see the flagrant circularity of that view: Why do I believe that the Bible is the word of God? Because the Bible says it is. And why do I believe that there is a God? Because the Bible says that there is. No, if we are going to attach some supernatural significance to the words, then we need to find some source other than the text itself that provides us with justification for thinking that it’s a communiqué straight from the creator of the universe. Ironically, during the first few centuries of Christianity, there were hundreds of Christian sects who were all arguing over what the real nature of Christianity was. And they wrote thousands of documents about their various doctrines. Some thought that Jesus was a man, some thought that he was not resurrected. Some thought he was just a prophet. And there were countless other variations on theme. Then in the second and third centuries, a handful of the stories were canonized by an influential group of sects and the rest of these other early Christian documents that did not conform were forcibly excluded from official recognition and they were banned as heretical. Even then, with the 27 or so books that were settled on for the New Testament, internal contradictions are rife. Look up the four different accounts of the resurrection for starters. 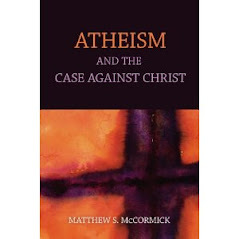 Atheists and non-believers are prone to get caught up in this misframed dispute over what the book really says. They will fall for questions about whether or not the Bible really says X, or whether or not Catholics are really Christians, or whether or not real Muslims are intolerant of non-belief. Then discussions between believers and non-believers that had promise of getting to the heart of the matter—whether or not any of the claims are reasonable to believe—morph into disagreements about what the correct interpretation of the book is. Far too much time and energy has already been wasted studying the Bible. Before any non-believer devotes their attention to it, she should have a clear answer to this question in her head first: Do we have evidence that makes it reasonable to believe that any of the supernatural claims in this book are true? If we do not, then that should profoundly affect the attitude we take about its worthiness for study. So one of the many troubling things about the prevalence of doctrinal disputes is the way it frames the discourse we are having about religion and God. Instead of actually talking about the reasons we might have for believing, we spin our wheels about what a loose Iron Age collection of heavily revised stories says about what some people’s views were about it 2,000 years ago. Like George H. Bush’s crafty undermining of anti-war protesters during the first Gulf War: “They don’t support our troops! They are unpatriotic!” The protesters quickly shifted to the defensive, offering assurances that they are patriotic and that they DO support the troops. In the scuffle, the original and vitally important question of whether or not the war itself was a just one was completely lost. Those who would have argued that it is not were now investing all of their energies into proving that they are patriotic and troop loving despite their doubts about the war. It was too late for any real objections to the war because opposing the war had now been defined as being unpatriotic and troop hating. Therefore, page shuffling discussions of whether or not the Bible really says X, and over who are the real Christians are misplaced. The notion that some source can somehow magically provide us with deep metaphysical truths about reality is a medieval myth. The real question of whether you should accept a claim as true involves the evidence, the reasons, and how well it fits with the rest of what we’ve been able to figure out about reality through science. When we consider a claim and whether or not it fits with the rest of what we believe to be true about the world, the criteria should be logical consistency, probabilistic consistency, corroboration by other known claims, predictive value, sensitivity to observations, and integration. On all of those criteria, the Bible fails horribly internally, and its incompatibility with the rest of what we now know about the world is even worse. So agonizing over what the text really says is a bit like fussing over the place settings on the Titanic.